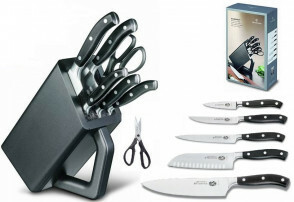 Grand-Maître is the name of this extraordinary range of Victorinox chef knives. 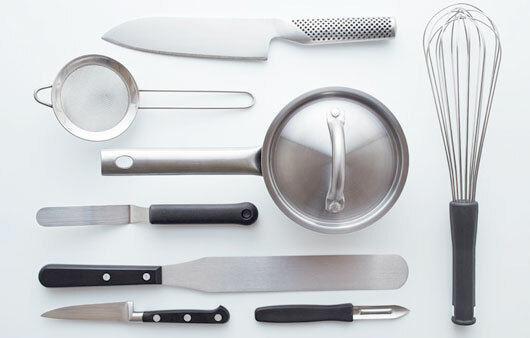 These forged knives combine aesthetics, functionality and clarity with the high demands of a professional cook. 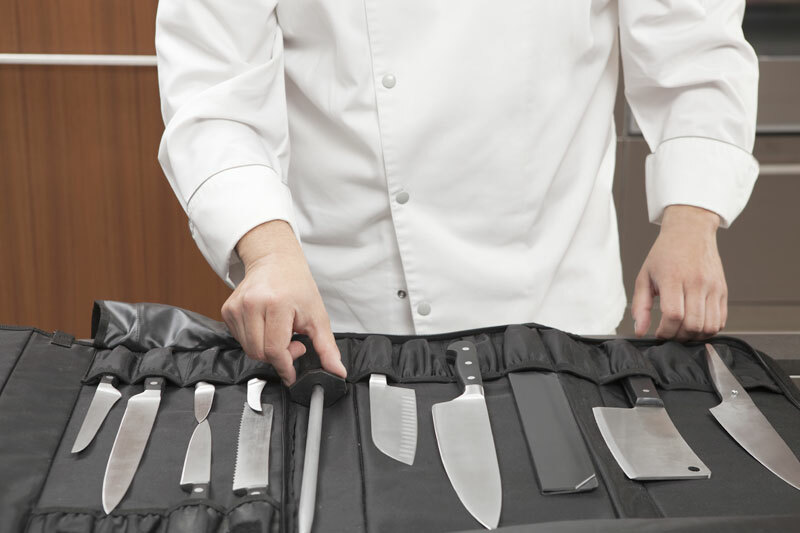 If used properly and with due care, these exceptional knives will last for a lifetime. 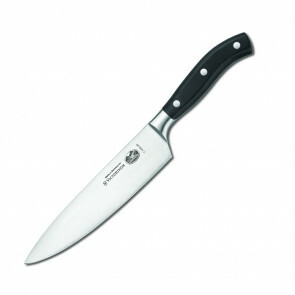 Victorinox Grand Maitre Cook forged knife 15 cm. 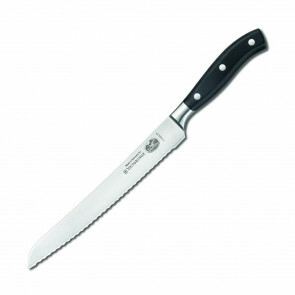 Victorinox Grand Maitre Forged Knife for Cakes-Pizza 21 cm. Victorinox Grand Maitre Forged Boning Knife 15 cm. Victorinox Grand Maitre Forged Bread Knife 23 cm. 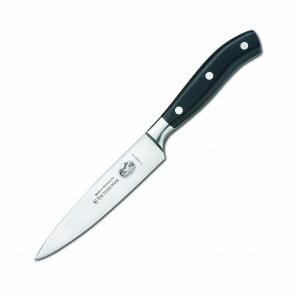 Victorinox Grand Maitre Forged Cook Knife 20 cm. Victorinox Grand Maitre Forged Cook Knife 25 cm. 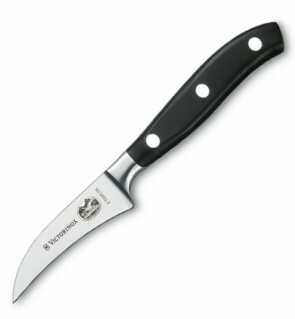 Victorinox Grand Maitre forged Filet cm. 20 - 8"
Victorinox Grand Maitre forged paring cm. 10 - 4"
Victorinox Grand Maitre Forged Paring Knife 10 cm. Victorinox Grand Maitre Forged Santoku Knife 17 cm. 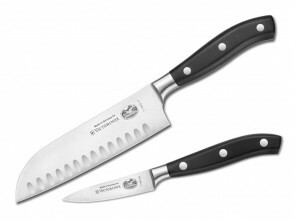 Victorinox Grand Maitre Forged Santoku Knife with alveoli 17 cm. 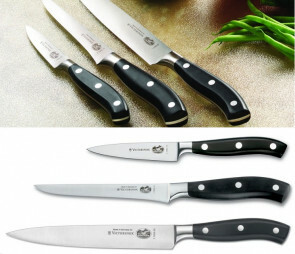 Victorinox Grand Maitre forged Slicer cm. 20 - 8"
Victorinox Grand Maitre forged Utility cm. 15 - 6"